Funeral services for Mr. Terry Winfrey, age 63, will be held 11:00 A.M. Monday, March 25, 2019 at the Kite Baptist Church with burial to follow at Kite City Cemetery. Rev. Burton Dixon and Rev. Paul Douglas will officiate. Mr. Winfrey was born April 8, 1955 in Swainsboro, Georgia: he was preceded in death by his parents, the late Julian Richard Winfrey and Susie Mae Price Winfrey and a brother, Jimmy Winfrey. 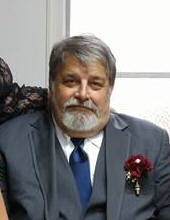 He was a member of Kite Baptist Church and was retired from the Georgia Department of Corrections. Terry was an avid outdoorsman who enjoyed hunting, fishing and trapping. Two of his favorite accomplishments were earning his “sharp shooter” status with GDC and winning a competition against his best friend by catching more than 1,400 redfin in one season. He spent his lifetime raising and trading poultry of all kinds. Terry was also a devoted Braves fan who continued to cheer them on even during the rough years. He loved his entire family dearly, especially his four grandchildren who gave him the title of “Pa.” Mr. Winfrey passed away Friday, March 22, 2019. He is survived by his wife, Joy Winfrey of Kite, his children, Craig & Amanda Winfrey of Kite, Brandon & Rana Winfrey of Wrightsville and Taylor & Bryson Rowland of Kite, a brother, Harry Winfrey (Nancy) of Wrightsville, two sisters, Mahala Fortner (Bobby) of Kite and Judy Stroud (Gene) of McDonough and four grandchildren, Mary Grace Winfrey, Callie Mae Winfrey, Maddox Quinn Winfrey and Tinley Winn Rowland. Pallbearers will be Todd Fortner, Danny Fortner, Jeff Winfrey, Ricky Winfrey, Brian Stroud, David Stroud, Jason Winfrey, Justin Morris, Spencer Stroud, Jordan Frost and Coye Fortner. To send flowers or a remembrance gift to the family of Terry Winfrey, please visit our Tribute Store. "Email Address" would like to share the life celebration of Terry Winfrey. Click on the "link" to go to share a favorite memory or leave a condolence message for the family.